When we hear this city’s name the only thing that comes to one’s mind is its grand and majestic heritage and culture. Whether it is food, or décor, or monuments or picturesque locations, everything is a class apart. So how can we miss the best part of this pink city- i.e. the wedding trousseau? The intricate hand crafted traditional embroidery, rich colors and striking opulent jewellery, make this city every one’s favorite wedding shopping destination. 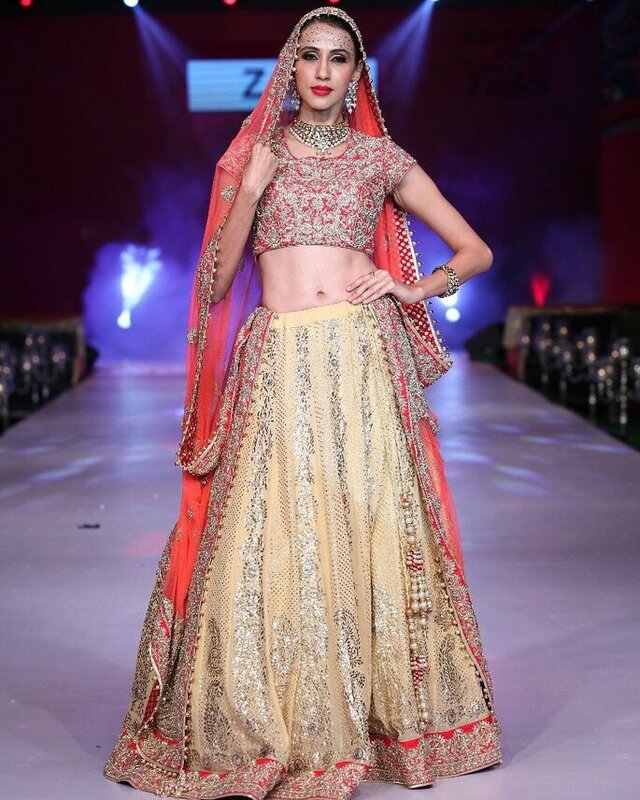 Being a hub of high-end bridal lehenga’s brands, it can get quite difficult sometimes to pick the best ones and this is why we stepped up and did the hard work of finding the best places for wedding shopping here. Check them out! 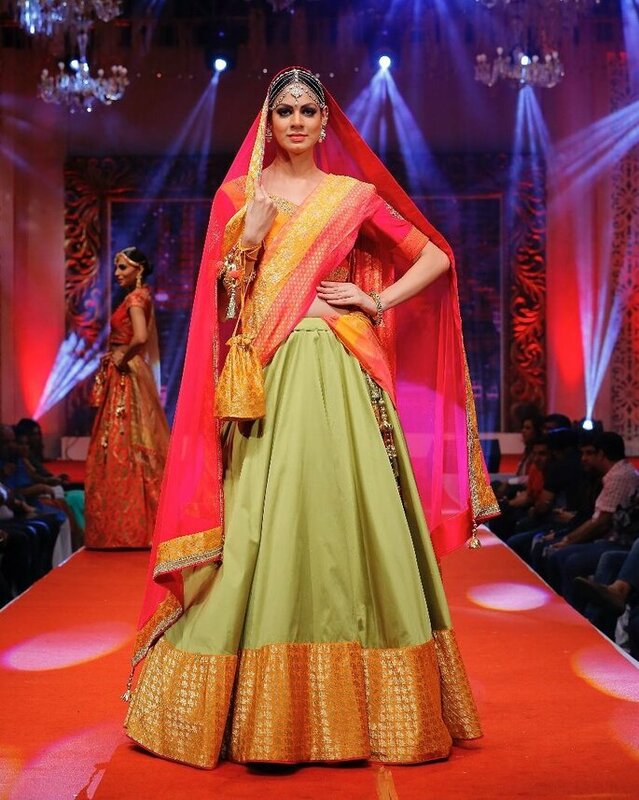 Ranas’s collection exudes the regality like Rajasthan’s traditions and vibrancy of life. They have exclusive and extensive collections of lehengas, sarees and suits in magnificent detailing and stunning threadwork like danka and zardosi. They also provide the service of customized dress styles. The brand likes to play with colors and designs that are progressive giving you supreme quality traditional fabrics. Inspired from the nature, their sensuous, gossamer weaves bloom like a fresh flower and perfect for a princess bride. Zari includes both ethnic and bridal wear so it is a bonus for the bride and the bridesmaid’s both. With its skillful details in unique craftsmanship, dainty trims with beautiful embellishments, the brand seeks to create feminine drapes that garb every woman distinctively. Their forte is hand embroidery and the aesthetics get classier with every collection. 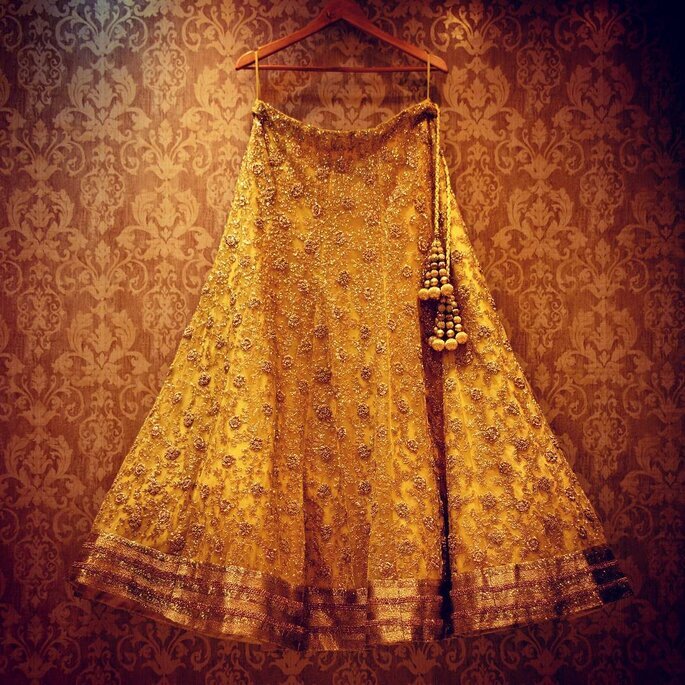 From your mehendi to sangeet to your D-day, Vasansi has a myriad of wedding attires for every occasion. 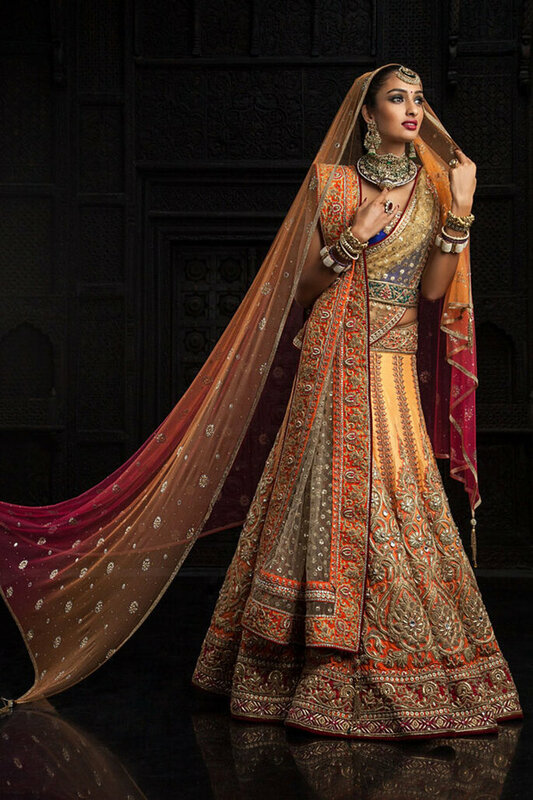 Their bold and impressive prints in their light lehenga collection will surely steal your heart. They derive the inspiration from rich Jaipur’s heritage, which is clearly visible in the hand block prints, screen prints and rich color palette. 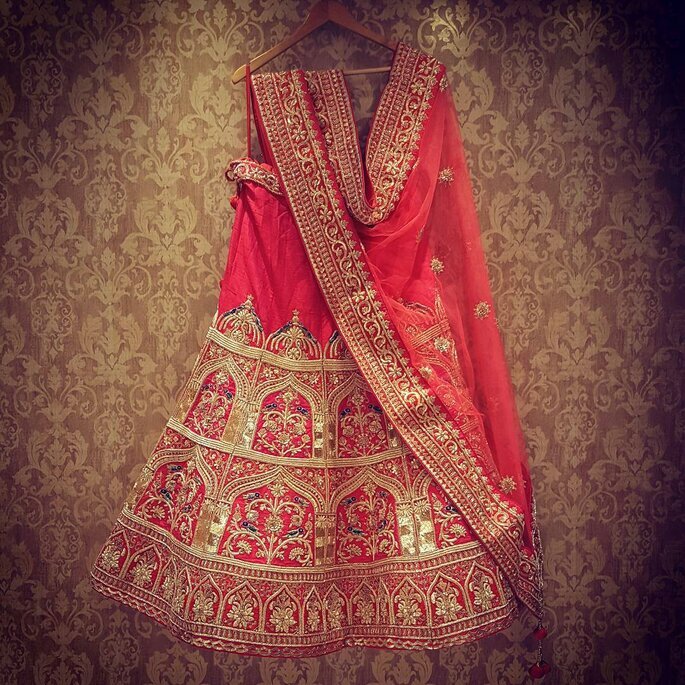 Transform yourself into a resplendent bride with Kishori’s exquisite bridal lehengas. If you are a bride who likes to drape her body silhouette in magnificent sartorial creations, then this brand is for you. Their contemporary cuts and patterns even in their saree collection with exquisiteness and elegance showcase the elaborate work of the artistry which is beyond comparison. 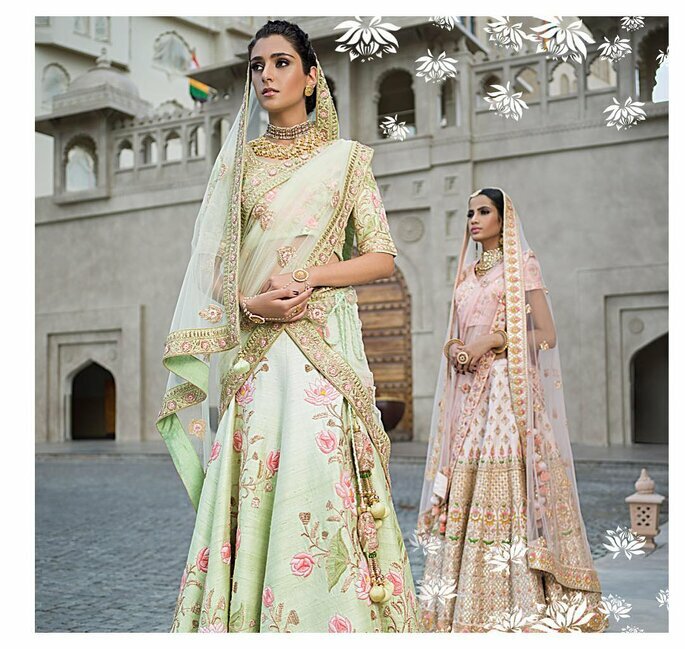 Pratap sons has carved out a niche brand for itself and is know even globally for their art of subtle traditional weaving, keeping in touch with the in vogue wedding colors. The feminine pattern with bold and unexpected cuts in their gowns is a dream come true for every bride who likes to flaunt her curves. The lehengas with aari and gota patti work are splendid. You cannot miss Sattva if you are a girl who likes her outfits to be on the lighter side yet incorporating the very essence of the modern designs. Their full sleeved crop tops in playful colors are perfect for your mehendi ceremony. The vibrant colors are tastefully selected and they make sure you make a fashion statement while looking your best. The brand’s aim to make luxury more and more affordable for the masses has made the brand one of the favorites among the brides. The brand’s undying love for traditional crafts and deep hues of India are visible in their every creation with contemporary cuts for today’s modern bride. *The selection is based on editorial criteria, not advertising. This order is not a ranking.